It was only a few months ago that Property Markets Group, the co-developer (along with Madison Equities) of the curved condo at 10 Sullivan Street, decided to break up the massive triplex penthouse at the top of the tower. 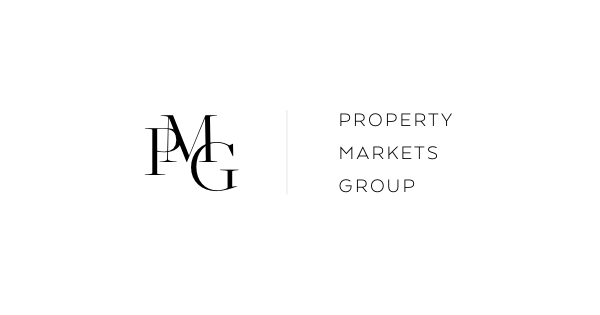 "Over the last several years, just about developer has built a building and built an über-penthouse at the top of the building," says Kevin Maloney, the founder of PMG. But with the market for those pricey units softening—and the fact that the unit sat for a year without finding a buyer—the developer decided to chop it in two. Instead of one enormous penthouse asking $45 million, the top three floors of the building were split into a full-floor apartment and a duplex penthouse, both of which hit the market in May. Now, Curbed has an exclusive look inside the penthouse, which occupies the top floors of the building and includes a roof terrace with unparalleled views of lower Manhattan. (That'll happen when you're buying real estate high above Soho. Maloney’s concerns with the unit in its original configuration were practical: The lower floor of the triplex would have been devoted to a spa and private pool, both of which were scrapped. He was also less than enthused about the three-floor layout, which he viewed as less manageable than a duplex. And while the new unit isn't exactly affordable for the average New Yorker, it's more manageable than, say, a $45 million apartment. "We looked at the cost, and we looked at the benefit of breaking it up," says Maloney, who estimates that the firm spent less than $1 million to make the switch. "We’ve generated a lot more traffic, and it’s more likely that it will sell quicker." It’s one of only three units currently left for sale in the building; the other two are the full-floor apartment below it, asking $11 million, and one of the adjacent townhouses.